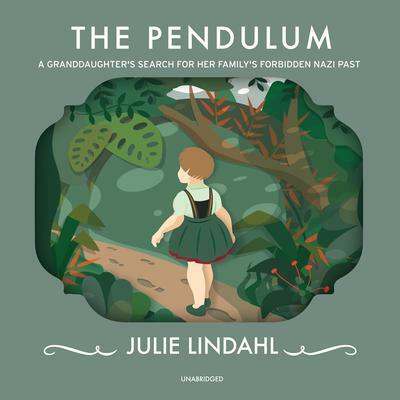 This powerful memoir traces Brazilian-born American Julie Lindahl’s journey to uncover her grandparents’ role in the Third Reich as she is driven to understand how and why they became members of Hitler’s elite, the SS. Out of the unbearable heart of the story—the unclaimed guilt that devours a family through the generations—emerges an unflinching will to learn the truth. In a remarkable six-year journey through Germany, Poland, Paraguay, and Brazil, Julie uncovers, among many other discoveries, that her grandfather had been a fanatic member of the SS since 1934. During World War II, he was responsible for enslavement and torture, and complicit in murder of the local population on the large estates that he oversaw in occupied Poland, before fleeing to South America to evade a new wave of war-crimes trials. The pendulum used by Julie’s grandmother to divine good from bad and true from false becomes a symbol for the elusiveness of truth and morality, but also for the false securities we cling to when we become unmoored from them. As Julie delves deeper into the abyss of her family’s secret, discovering history anew, one precarious step at a time, the compassion of strangers is a growing force that transforms her world and the way that she sees her family—and herself. Julie Lindahl is an author and educator living in Sweden. She writes and speaks widely about her experiences, is a contributor to WBUR Cognoscenti, and has been featured on National Public Radio. Julie holds a BA from Wellesley College, an MPhil in International Relations from Oxford University and was a Fulbright Scholar in Frankfurt, Germany. Raised in ten countries on three continents, she has worked globally as a consultant in the developing world. She is the founder of Stories for Society, a nonprofit organization for renewing the art of story-making among youth for social transformation. WBUR 9.0 won the 2018 Edward R. Murrow award for excellence in innovation and the Associated Press Media Editor’s Award for excellence and innovation in storytelling based on a program series featuring her story.